Evan & Ross tell you the best Fantasy options for Thursday Night's Raiders 49ers game + all of the 1pm ET Sunday games on today's podcast. The Action Network's Matthew Freedman is this week's guest on the FEAST. Ross, Matt, & Evan discuss NFL draft prop bets in advance of next week's NFL Draft. Greg Gabriel, 30 year NFL scout and current columnist for ProFootballWeekly.com talks with Ross & Evan about NFL analytics, his time with the Giants & Bears, thoughts on Kyler Murray (& other QBs in the upcoming draft), and much more. Evan Silva & Ryan McDowell conduct a 2x round 'PreDraft Rookie Dynasty' Draft on this week's podcast. 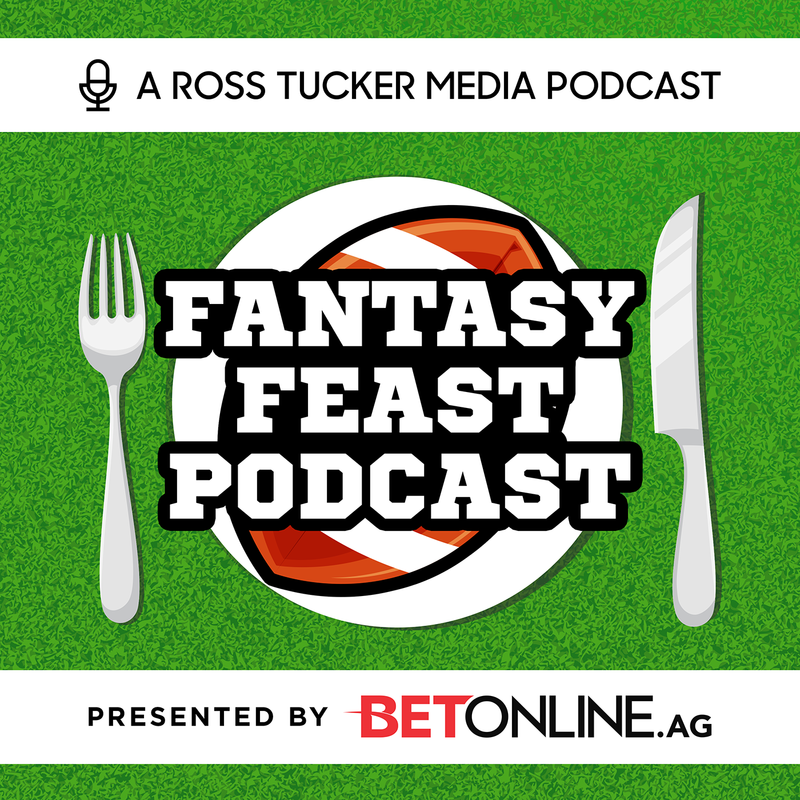 Two of the best NFL Mock Draft experts -Ben Standig & Evan Silva- conduct an NFL 1st round mock Draft on this week's Fantasy FEAST podcast. Ross & Evan look at the Fantasy impact from the latest trades & signings including OBJ, LevBell, Antonio Brown, Adrian Peterson, & more. Evan & Ross discuss the latest moves in free agency & how it will impact Fantasy Football in 2019. Rotoworld.com's "Roto-Pat" Pat Daugherty is this week's guest on the FEAST. Pat talks with Evan & Ross about his recent article ranking the head coaches in the NFL. Rotoworld.com's Hayden Winks talks analytics on this week's podcast. Specifically, post bye week performance, player evaluations, what really matters at the Combine, & more. Action Network's Ian Hartitz joins Evan & Ross on this week's Fantasy FEAST podcast. Ian goes in-depth on the AAF for betting & DFS. Warren Sharp, from Sharp Football (predictive NFL Analytics) joins Ross & Evan on this week's podcast to talk about the Fantasy Football lessons we learned in the 2018 season that will help us in 2019.